Boards and Regulators rely on policies and frameworks to deal with major risks. Unfortunately, most such policies and frameworks are effective on paper and not in practice and don’t often affect the company behavior. Poor frameworks that are too stringent or theoretical create vulnerabilities for security breaches and attacks. 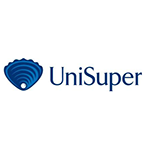 UniSuper takes a people led approach to develop it’s governance frameworks creating a higher degree of confidence in managing its risks. Join this session with Ruby to develop a security framework that can be adhered to. Check out the incredible speaker line-up to see who will be joining Ruby.